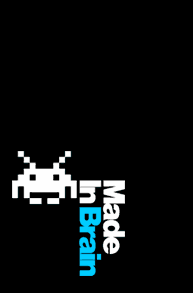 In the past, I was part of a small design studio called Made in Brain. Focused on printed media, magazine design and photography, we have serviced clients like T-Com, VÚB Bank, Ringier, Ústav lekárskej kozmetiky, Slovak Olympic Team, Phillip Morris and more. We have been successful in creating the layout for SME Ženy and tv oko, both sections of the premier Slovak newspaper SME. While working with Made in Brain, I was responsible for the layout of the women’s magazine EVA for 3 years. Advanced use of InDesign and retouching techniques were my main jobs here. The second area of my work at Made in Brain was webdesign and graphics. Some of my logotype drafts made it to the final decisions and are used by clients till now, for example tv oko.